Membership in the HBAGC includes membership in the National Association of Home Builders and the North Carolina Home Builders Association. Contact Builders Mutual Insurance Company for details on member-exclusive insurance programs. Money-saving discounts that benefit you, your business, and your family. 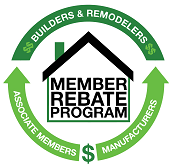 Free benefit available to Builder & Remodeler members. Increase your bottom line with rebates for your loyalty to many of the nation's leading manufacturers. Parade of Homes : The Parade of Homes is an annual tour of new homes in the Greater Charlotte area. The new homes are in a variety of neighborhoods and price ranges, and they showcase the latest in new home technologies. The tour is FREE to visitors. For more information, visit ParadeCharlotte.com. HomeArama : HomeArama is a single-site tour of luxury new homes (5-10 homes). The homes are designed and decorated to showcase cutting edge products, as well as the latest designs and materials. HomeArama tentatively occurs every other year. Visit CharlotteHomeArama.com. The Home Builders Association of Greater Charlotte along with the North Carolina Home Builders Association, National Association of Home Builders, and the Real Estate & Building Industry Coalition monitors and responds to regulations and legislation that impacts housing affordability. 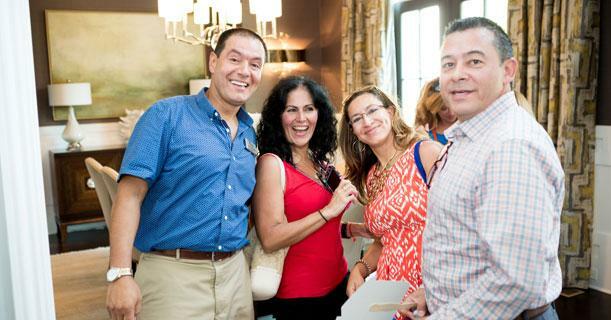 The HBAGC hosts a variety of events for networking opportunities. Members can participate in a variety of meetings hosted by the HBAGC and the Sales and Marketing Council. Programs include education, industry experts, and socials. Golf: With a spring and fall tournament each year, plan to showcase your product or service to HBAGC members as a sponsor, or host your builder clients to enjoy a day on the golf course. MAME: Major Achievement in Market Excellence - The MAME Awards recognize sales, marketing, design, and building excellence. The prestigious MAME Award is given to Builders, Developers, and Associates who have made a significant and creative contribution in residential marketing through specific achievements. Award winners are honored at the annual MAME Awards gala.